Searching for exceptional roof repair and installation in McMinn County, TN? Choose the experts at Burell Built Exteriors! Our experienced contractors work on both residential and industrial properties, including hotels, restaurants, and more. For professional service from a roofing company in McMinn County, TN, dial (865) 385-6926 anytime. From residential roofs to industrial roof systems, our roofers can repair any roof. Thanks to our extensive experience and local knowledge, we can expertly assess the issue with your roof, from general wear and tear to hidden hail damage. When you have a critical leak or storm damage, contact us right away at (865) 385-6926 for emergency repair. 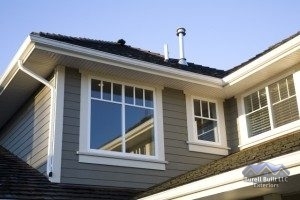 Our contractors also offer gutter and siding repair, in addition to other home exterior services. No matter the size of the project, choose our roofing company in McMinn County, TN for premier service you can count on.